Hand sanitizers are used to prevent the spread of infection transmission through hand, as it is effective in eradicating microorganisms that cause several diseases such as food-borne illness, nosocomial infection, and others. In addition, hands are the major means of transmission of bacteria, viruses, and pathogens. 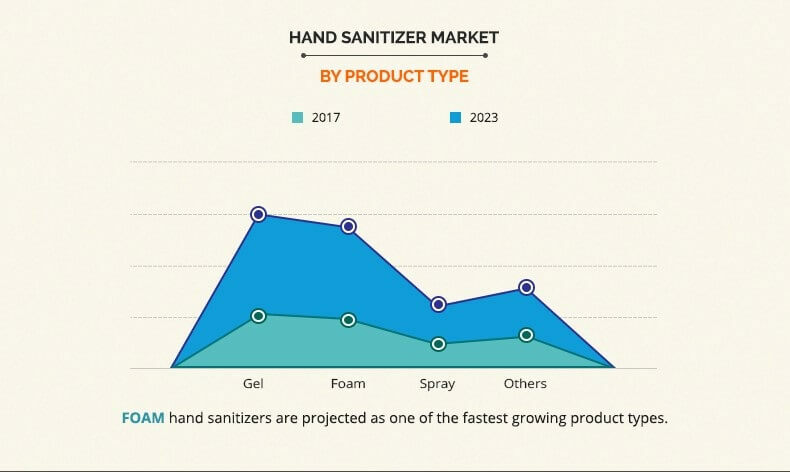 Thus, they are widely used in hospitals, schools, restaurants, and other applications which is driving the growth of the hand sanitizer market. 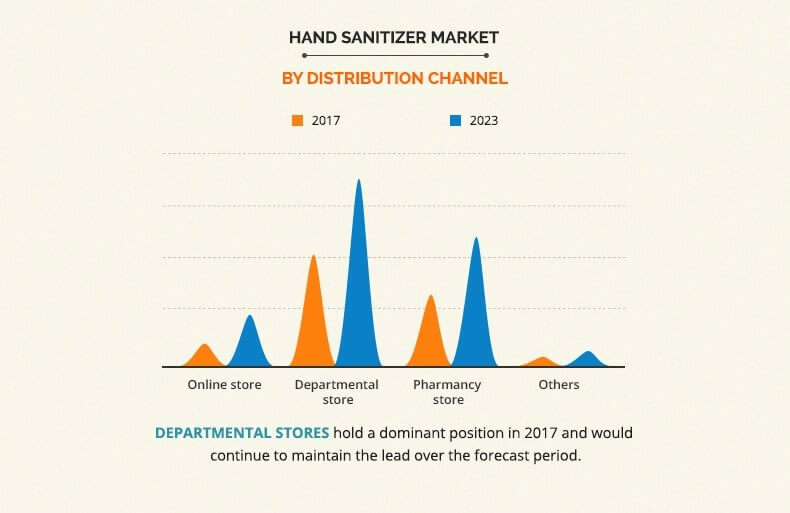 Improved living standards and customer inclination towards health & wellness are expected to propel the demand for hand sanitizers during the forecasted period. Furthermore, increase in awareness about hand hygiene and support from organization such as WHO and FDA towards need for sanitization fuel the growth of the overall hand sanitizer industry. 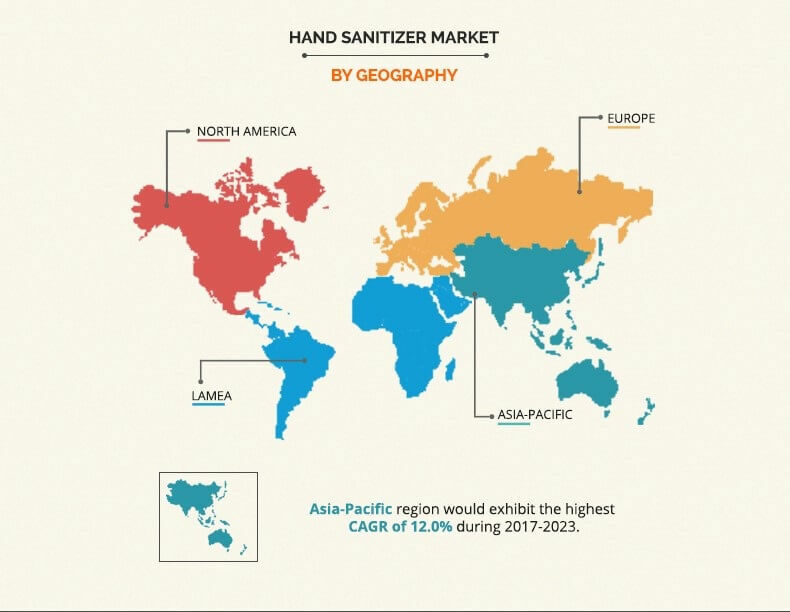 However, health hazardous associated with chemical ingredients of hand sanitizer is expected to restrain the market growth.